The transformation of Serbia since the break-up of Yugoslavia in the 1990s has been very dynamic, to say the least. From a dictatorship heavily involved in the wars in Bosnia-Herzegovina and Kosovo bombed by NATO, via a peaceful revolution and democratization, towards a semi-authoritarian regime that has opened the EU accession negotiations in January of 2014. 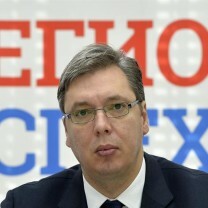 In April 2017, outgoing Prime Minister Alexander Vucic (Serbian Progressive Party) was elected President by obtaining 55.02% of the votes. Consequently, mainly young people took it to the streets in Belgrade to protest against, what they see, as a move towards a dictatorship in Serbia. Want to get notified by mail when Serbia gets updated? Aleksandar Vučić is born on 5 March 1970 in Belgrade. He has been the First Deputy Prime Minister of Serbia, from 2012 till 2014. In 1993 his political career started: he joined the Serbian Radical Party (SRS) and was elected to the National Assembly. Two years later he became secretary-general of SRS. He ran in the Belgrade mayoral election twice, in 2004 and again in 2008, losing both times to candidates from the Democratic Party (DS). In March 1998, Vučić was appointed Minister of Information in the government of Mirko Marjanović. Following rising resentment against Milosevic, Vučić introduced fines for journalists who criticized the government and banned foreign TV networks. He recalled in 2014 that he was wrong and had changed, stating “I was not ashamed to confess all my political mistakes.” In July 2012 Vučić became Minister of Defense, but stepped down after a year due to a cabinet reshuffle. At the same time he was appointed Vučić became the First Deputy Prime Minister. Because his SNS party became the biggest at the 2014 elections, it was high likely he became Prime minister. Hopes were high after the citizens and social movement Otpor (Resistance) toppled the Milošević regime in 2000 without a single bullet being fired. A pro-European Democratic Opposition of Serbia (DOS) coalition took over the power and one of the main parties within that coalition, the center-left Democratic Party (DS) – remained in power for the most time until 2012. On the one hand the rule of law, freedom of the press and European integration got a tremendous boost with the downfall of the dictatorship. On the other hand, the country did not manage to develop its economy sufficiently and give hope to the young people who are leaving, while the ruling elite did not manage to change the political culture. In addition, the relations with Kosovo continued to be a political burden. Milošević’s former nationalist political partners used this disappointment to wrap themselves in a European flag and win parliamentary and presidential elections since 2012. Current President Vučić served as minister of information during the Milošević’s regime. With nationalists back in power the rule of law and democracy regressed. Institutions are weak, not independent and distrusted by the citizens. As a consequence, citizens’ main way to participate in political life is by voting at elections. At the same time the turn-out at the elections is low: 56 percent at the 2016 elections. While the civil society is putting effort to improve the quality of democracy, the government is reluctant to engage in a dialogue with the (civil) society, framing internationally financed civil society as ‘foreign agents’. Investment in active citizenship and knowledge about the political system is lacking while these are important tools to enhance democracy. Media freedom-wise Serbia is moving in the ‘’Macedonia direction’’: a total control of the public broadcaster and all other major media by the government. Editors and managers from (formerly) independent media outlets are being fired, or decide to quit their job, some being afraid of verbal and physical attacks on them and their family. In addition, there is no transparency in media ownership. After ten rounds of talks in 2013, Belgrade and Pristina signed a historic deal mediated by Brussels, normalizing relations, opening their way towards EU integration and granting Serb majority municipalities in Kosovo broad powers in education, health care and spatial planning. The implementation of the deal on the ground remains a major challenge. The agreement had positive effects for Serbia and Kosovo with regard to the EU integration. Serbia opened the accession negotiations, while Kosovo signed its first agreement with the EU that should lead to the Stabilisation and Association Agreement. As a result of the breakthrough with Kosovo, the Stabilisation and Association Agreement between the EU and Serbia entered into force in September 2013. Three months later the Council adopted the negotiating framework, wherefore Serbia could hold the first Intergovernmental Conference on 21 January 2014. This date marks the formal start of the accession negotiations. In line with the new EU strategy, chapters 23 (rule of law) and 24 (fundamental rights) were one of the first ones to be opened. The government, however, did not use this opportunity to propagate the reforms related to these chapters as the action plan was adopted quietly in the parliament, with MP’s obtaining the action plan one hour before the vote. Although the perspective of European integration had a big impact on the transformation of Serbian politics, and society to a certain extent, it lacked a long term sustainable approach. Moreover, the ruling elite misused European integration to legitimize all their actions; this “we-have-to-do-this-because-the-EU- says-so" attitude resulted in slow transformation during which the political elite acted like it was not in the interest in Serbia to engage in the European integration related reforms. The long-term prospect of EU membership is not enough for the political elites in the region to reform. This is also shown by the fact that Serbia is not aligning her foreign affairs policy to the EU’s policies. Also, the government is successfully creating an image about the strong historical, brotherly and spiritual relations between Serbia and Russia. Although the debate about the relations with Russia is blown about of proportions, the ‘love’ for Russia – after Belarus Serbia scores the best when it comes to popularity of Russia – offers the nationalist political elite an escape card when recognition of Kosovo will be demanded as a prerequisite for EU membership. Another important instrument in the EU accession process is the Berlin Process. Although it rightfully aims to enhance regional integration and cooperation, it lacks ownership (top-down process), is not transparent and only six EU member states are directly involved. This problem was not solved when the European Commission presented its new enlargement strategy for the Western Balkans in 2018. Although it raised the prospect of 2025 as the possible accession date of Serbia to the Union, it effectively underlined the necessary steps it will take before the country can become a member. Therefore, many political analysts and journalist are sceptical about the EU integration: as long as Serbia is cooperating on Kosovo, engages in regional cooperation and acts as a stable reliable actor to the EU, it will get EU’s carte blanche on internal politics. Consequently, the quality of democracy has decrease: less free press, weakened rule of law and an increasingly authoritarian regime. Since SNS took power in 2012, the Democratic Party (DS) has formed the core of the opposition in Serbia. The party fragmented however as several senior party members left the party. On 30 January 2014 former President of Serbia Boris Tadić resigned as honorary president of the DS. Tadić said he decided to leave because of disagreements with the direction in which the Democrats were heading under the new leadership. DS was at that moment looking for a potential coalition with the New Party (Nova Stranka) led by Zoran Živković, another former member of the DS. After his resignation Tadić started his own party: the New Democratic party (NDS), later renamed to Social Democratic Party (SDS) Tadic supporter and former Minister of Foreign Affairs, Vuk Jeremić, also created his own political party, the People's Party in 2017, after Tadic left. Mayor of Belgrade and President of the party, Dragan Đilas, also left the party in 2014, after the DS lost its power in the Belgrade City Assembly. Showing his intent to run his own political platform. With the center-left vote split between multiple parties and groups, the opposition in Serbia has been heavily divided. The 2018 Belgrade Assembly Elections were seen by many as a test for the opposition if the still could function against the might of the SNS. Leading up to the elections the center-left couldn’t unite. Đilas platform in the city was supported by the Movement of Free Citizens of former presidential candidate Saša Janković. While another former DS member, Aleksandar Šapić, run his own campaign. The division resulted in a sweeping victory for the SNS in the local elections, receiving 45% of the vote. While the DS didn’t even make it to the threshold of 5% probably because Dilas and Sapic, respectively, won 19% and 9%. On a local and national level the Social Democratic opposition, of what use to be the DS, is now divided among multiple former DS members and their spin off parties. In Serbia parliamentary elections are often called early: in 2016 the last parliamentary elections took place, only two years after the parliamentary elections in 2014. They in turn, were also two years early, as there had been elections in 2012. Prime Minister Vučić called two early parliamentary elections in order to, as he argues, confirm the support for his reformist agenda. In reality, however, he has mastered the acts of dividing the opposition and cutting off their finances, control of the mainstream media and the election process, and, finding the optimal moment to pull together the resources for yet another election victory. On 30 January 2014 Serbian President Tomislav Nikolić called early parliamentary elections. According to the president “Serbia shall certainly get a government with more energy and enthusiasm and released from problems that this government has solved”. The coalition government, SNS is the main party, explained its request for early elections by the need to ensure "as wide as possible support for accelerated reforms and modernization of Serbia". However, the fact that SNS was skyrocketing in all polls (above 40 percent) is considered as the crucial factor for SNS to go to the polls and having its leader Aleksandar Vučić return as Prime Minister, after having been Minister of Defence. On 16 March 2014, the Serbian Progressive Party (SNS) won 48.4 percent of the seats in parliament. Next to them, only three parties surpassed the threshold of 5 percent: Socialist Party of Serbia (SPS) 13.5 percent, Democratic Party (DS) 6 percent, and the coalition around former President Boris Tadić 5,7 percent. In 2016, Vučić stated that the preliminary elections were needed in order to ensure the smooth transition towards the EU and implementation of reform. During the elections SNS led coalition obtained 48 percent of the votes, Serbian Socialist Party (SPS) 11 percent and Serbian Radical Party (SRS) 9 percent. Just three other parties managed to pass the 5 percent threshold: DS and It’s Enough Movement obtained 6 percent while the coalition of Social Democratic Party (Tadić), League of Social Democrats of Vojvodina (LSV, Čanak) and Liberal Democratic Party (LDP) just passed the 5 percent threshold. After the elections, in a joint statement, leaders of DS, Tadić-coalition and It’s Enough movement stated that the elections were rigged. According to Bojan Pajtić (DS) many cases have been observed in which voters entered the polling stations with a ballot box that was already filled in. They were asked to prove to the ‘activists’ of the ruling SNS who were waiting outside the polling station that they have submitted this ballot by giving them the empty ballot they obtained inside the polling station. The atmosphere of repression and fear in the run up and during the elections is reflected in the Savamala demolition: during the election night, a masked man blocked a part of the Belgrade city center and demolished buildings with bulldozers where a state-backed complex is supposed to be built. By doing this they helped the authorities speeding up the building process of the controversial United Arab Emirates supported project ‘Belgrade Waterfront’. Moreover, a special law has been adopted in the parliament which states that any future law can’t be in conflict with the contract agreed with UAE. The police did not react on the calls of many citizens who saw buildings being teared down. On April 2nd 2017, Prime Minister and leader of the right-wing Serbian Progressive Party (SNS), Aleksandar Vucic, won the presidential elections with 55.02% of the vote for a five-year term. Former ombudsman and independent candidate – who was supported by the main opposition Democratic Party (DS) Sasa Jankovic was second with 16.36%, Ljubisa Preletacevic – Beli got 9.43%, the former Serbian Foreign Minister Vuk Jeremic received 5.66% of the votes and Vojislav Seseli, who is the leader of the Serbian Radical Party (SRS), got 4.50%. For many people supporting the opposition, the results were disappointing because they had hoped that a second round with the two candidates receiving the most votes would be necessary. Notable about these elections was the participation of Ljubisa Preletacevic, who participated under his alter ego: Beli. He tried to hold a mirror up to the Serbian society by using humour and satire. Mainly young people and people who are disappointed in Serbian politics voted for him as an anti-establishment vote. Current President Tomislav Nikolic from the SNS did not rerun because his party decided to support Vucic instead of him, as they were not confident he could win. According to the Republic Electoral Commission voter turnout was 54.54%. The Centre for Transparency, Research and Accountability (CRTA), did not receive reports on major irregularities. They only noted irregularities in 3% of polling stations. They also noted that electoral commissions sometimes did not check the personal documents of voters, or if they had already cast their ballot. They also sometimes did not mark voter’s fingers with special ink so that they cannot vote again. Finally they noted that in Zajecar, Knjazevac and Alibunar, police stations were open to urgently issue voters with certificates to show that they had filed requests for new ID cards, this could enable people without valid IDs to vote. The incidents that were reported did not show a trend that could endanger the regularity of the election process. The week after the elections thousands of Serbs took it to the streets of Belgrade and other cities to protest against Vucic’s victory. The protestors mainly claimed that the election results mark the beginning of a dictatorship. Furthermore they accuse Vucic’s supporters of having rigged the elections leading to his victory. Especially during the campaign Vucic dominated in the media and had the most resources. The protestors are also calling for the resignation of the Serbian parliamentary speaker, Maja Gojkovic, as they claim she unlawfully prorogued parliamentary during the campaigning period. Lastly, the protestors want that the electoral roll is cleaned up because, according to them, there are over a million ineligible voters on it and they want the public broadcaster to be free from political influence. The Democratic Party (DS) was officially founded in 1990 by a group of Serbian intellectuals as a revival of the original Yugoslav Democratic Party. It was the first opposition party to the presidency of Slobodan Milošević during the 1990s. In the 2003 parliamentary elections DS became the third largest party in the Serbian parliament with 37 of 250 seats. The party stayed out of the government, but its role in opposition was an essential one, counter forcing against the dominant extreme nationalist forces of SPS and SRS and providing for necessary majorities on reform proposals. The DS is a firm supporter of Serbia’s integration into the European Union and co-operation with the ICTY. Concerning Kosovo, they stress the importance of the standards before the status. For some time it was unclear in what direction the party would head, but now the party adopted a social democratic orientation, seeking contact with parties of the social democratic family all over Europe and officially confirming it on the party congress. 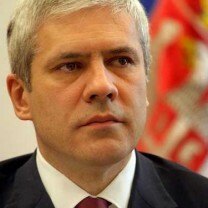 Former DS leader and Serb President Boris Tadić quit the party in 2014. He was not content with the direction in which the Democrats were heading under the leadership of Dragan Djilas, who was the party leader from 2012 till 2014. In June 2014 Bojan Pajtic, who heads the provincial government in Vojvodina, defeated Djilas by 184 votes and became party leader. Currently, the party is led by Dragan Šutanovic.The coalition around DS holds 13 seats in parliament, down from 67 seats in the 2012 elections. The LSV is a multi-ethnic, anti-nationalist, anti-war, social democratic party in Vojvodina. Since the founding of the party, the LSV has opposed all discrimination on ethnic or any other ground. The LSV strives for an autonomous, multi-ethnic, and democratic Vojvodina, to be reached through decentralization and ‘denationalization’ of Serbia. In 2008, LSV formed a pre-election coalition with the DS, G17 Plus and some minority parties. In the parliamentary elections of 2014, LSV signed a coalition agreement with Tadić’s NDS and Together for Serbia (ZZS). The LSV has no status in the Socialist International. The SDU was formed in May 1998 after a split in the Civic Alliance. The party became one of the most progressive anti-nationalist parties and adopted a social democratic orientation. The lack of personal involvement in the war of the SDU leaders gave credibility abroad among western social democrats, but the pro-Western attitude of the SDU simultaneously guaranteed it a place on the margin of everyday politics in Serbia. The SDU took a firm stance against nationalism and the war politics of the Serbian and Yugoslav governments. The SDU struggles for respect of human and civil rights for all ethnic groups. These standings are highly controversial in Serbia, making the party’s position marginal. 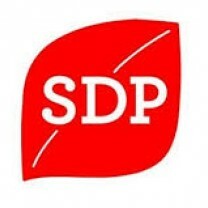 On 20 April 2002 the SDU and Social Democracy (SD) merged into the Social Democratic Party of Serbia (SDS.) On the second congress in May 2003 of this new party Slobodan Orlic was elected as the leader of the SDS. As a result of internal and personal differences, former leader of SDU, Žarko Korać, re-established SDU. The fact that SDU became a member of DOS again and that Korać remained Deputy Prime Minister in the previous government guaranteed SDU of the necessary power, to re-establish the party. However, analysts now see that the party’s position is weak. The party has friendly relations particularly with the founded Liberal Democratic Party, Civic Alliance and the League of Social Democrats of Vojvodina. The SDU holds no seats in parliament and has no status in the Socialist International. In January 2014, Boris Tadić left the DS and formed his own leftist New Democratic Party (NDP). Tadić’s original plan was to form a political cooperation with the League of Social Democrats in Vojvodina (LSV) and Together for Serbia (ZZS) in order to pass the threshold. After the 2014 elections NDS merged with the Green Party The two parties have a new statute, program and name: NDS-Greens (NDS-Z). The Greens of Serbia advocate environmental and ecological wisdom, social justice and solidarity, direct democracy, green economics, sustainability, respect for diversity and human rights, and prevention of all forms of violence. The party has an observer status in the Global Greens and in the European Green Party. In late 2014 in change its name to the Social Democratic Party. During the 2016 parlemantary election it obtained 13 seats. In October 2009 the newly established Social Democratic Party of Serbia (SDPS) was presented to the media. The main aim of the party is Serbia’s accession to the European Union, the preservation of territorial integrity of the country, regionalization of Serbia and the reduction of state administration. Furthermore, it is of crucial importance to increase the living standards of the people. The main slogan of SDPS is 'only the people'. On 12 December 2009 the statutes of the party were adopted by the first Party Congress which welcomed leaders of social democratic parties from the region. Rasim Ljajic was elected as the leader of the party. 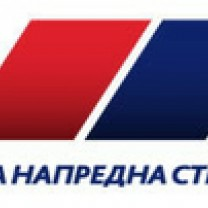 In the past the first strategic partner of the party was the Democratic Party, followed by the Socialist Party of Serbia. The party wanted to establish close relations with the S&D Group and other social democratic parties in the region. In 2012 the party joined the SNS led coalition with Ljajic as Deputy Prime Minister and Minister of Labour, Employment and Social Policy. In 2014 the party formed a pre-elections coalition with SNS. The SNS was formed as a group of breakaway MPs in the parliament from the Serbian Radical Party (SRS). The party was registered on 10 October 2008. The SNS is a center-right, conservative party. Deputy leader at that time, Aleksandar Vučić, said that the new party's goal will be to "fight for a higher standard of living, combat against crime and corruption, and beat the regime of Boris Tadić and Ivica Dačić". Preserving the country's territorial integrity, according to him, will also be one of the SNS goals, while the party will have "a clear opposition stance”. Currently the party does not have a opposition stance anymore: in 2012 SNS Tomislav Nikolić became president and in the parliamentary elections of 2016 SNS got almost half of the votes and, due to the electoral system in Serbia, an absolute majority in the parliament (131 out of 250 seats in the National Assembly). The popularity of the party was reaffirmed during the 2017 presidential elections in which Vučić won. Under the leadership of Vucic relations with Kosovo were normalised, EU accession negotiation kicked off and generally speaking Vucic is perceived as a successful fighter against corruption and organised crime. Not a small part of Serbian electorate believes that when Vucic promises something, it will happen. At the same time the opposition is accusing the SNS increasingly controlling the media and destroying their political opponents through tabloid propaganda by simply calling them criminals or prosecuting them without clear evidence. Ivica Dačić was born in Prizren, Serbia on 1 January 1966. He graduated from the Faculty of Political Sciences in Belgrade. Dačić became a member of the Socialist Party of Serbia under Slobodan Milosevic. The party went into opposition with the ousting of Milosevic in 2000. Since then Dačić has invested in transforming the party. By choosing the pro-European coalition with the DS, he prevented the formation of a right wing radical coalition. Dačić favours younger party officials within his party and is the promoter of the so-called new socialism. Dačić became a member of the Serbian Parliament in 2004 and was a candidate in the presidential elections that year. He came in fifth with 3.6 percent of the votes. In 2006 Dačić was elected leader of the Socialist Party of Serbia. The Socialists returned to government in 2008. 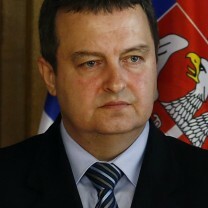 Dačić has been Prime Minister of Serbia from 2012 till 2014. Before this he served as First Deputy Prime Minister in 2008 till 2012 and was the Minister of Internal Affairs. Ivica Dačić is married and has two children. Boris Tadić was born 15 January 1958 in Sarajevo, Bosnia and Herzegovina. He graduated from the Faculty of Philosophy at the University of Belgrade with a degree in social psychology. Tadić was a member of the anti-communist dissident movement in Yugoslavia in the 1980s and was arrested and imprisoned several times by the communist authorities. Tadić has been a member of the Democratic Party (DS) since 1990, and served as its deputy leader, before he was elected as the party leader in 2004 and re-elected in 2006. In 2000, in the months following the overthrowing of the Milosevic regime, he served as Minister of Telecommunications in the Federal Republic of Yugoslavia. From March 2003 to April 2004 he was the Minister of Defence of Serbia and Montenegro, instituting democratic reforms and transforming the military to be NATO compliant. Boris Tadić served as President of Serbia from 2004 to 2012, which are two terms. In 2012 he resigned to trigger an early election. Following his defeat in the 2012 presidential election and poor party ratings, he stepped down in November 2012 to take the position of the party's Honorary President. After a split with the new leadership in January 2014, Tadić left the Democratic Party and formed his own bloc: the New Democratic Party, which currently holds 18 seats in parliament. Tadić strongly advocates close ties with the European Union and Serbia's European integration. Boris Tadić is married and has two children. Lavrov blames the West for increasing tensions in Western Balkans: is Moscow flexing its muscles in the region?